Climate change, also known as global warming, denotes the increase in the average temperature of the Earth’s surface. According to the scientific community, global warming is real and it is a result of the human use of fossil fuels, which is known to fill the air with carbon dioxide and greenhouse gases. These gases trap heat within the atmosphere, resulting in various effects on the ecosystems, from an increase in sea levels and severe weather to species extinction. Despite the agreement among scientific organizations, scientists, and governments that global warming is human-caused activity, as well as the mounting evidence supporting the human impact, there are those who question such claims. Known as deniers of climate change, these people believe that these changes are a part of the variations in the climate and temperature of the Earth and that the possibility to directly connect weather events and climate change is impossible. Though the latter claim is true, the scientific data cannot be neglected. The World Wildlife Fund emphasizes that we are witnessing the biggest environmental challenge of our generation, i.e. 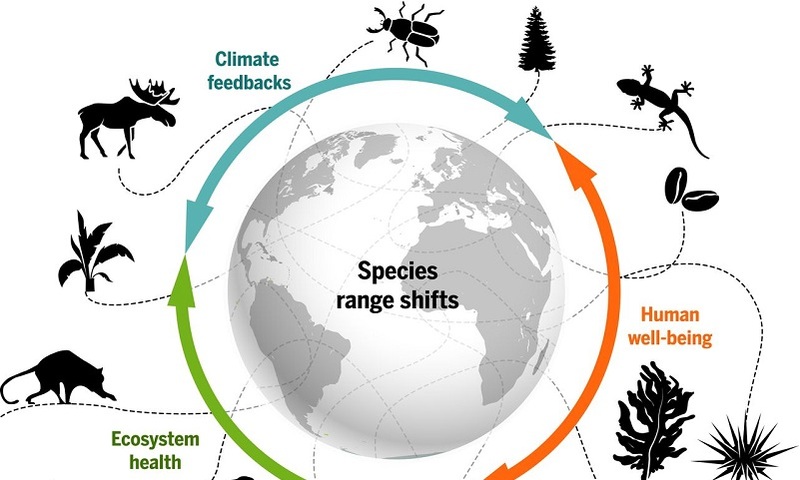 changes in seasons, extinct species, upset crops, and many other concerns. The balance of the planet has been severely disrupted by humans in the last 150 years by the excessive burning of coal, oil, and gas, the breeding of methane-producing livestock, and the deforestation, i.e. the cutting vast areas of trees which are known to naturally soak carbon dioxide from the air. Namely, this is the major greenhouse gas which is a contributing factor to climate change. In addition to regulating the climate, forests are also the home to a variety of plants and animals. WWF also assert that the most affected forests are the sub-Arctic boreal ones. The tree lines are reducing north and the temperatures elevate. Tropical forests, such as Amazon which is known for its rich biodiversity, are at risk of extinction as a result of even smaller changes in the climate. Without a doubt, these forests are detrimental to the local species and the community that relies on them. It is crucial to note that dying trees release carbon dioxide, which only adds to the number of greenhouse gases. Unfortunately, global warming has a negative impact on the world’s water through the increase in droughts and floods, as pointed out by WWF. Hence, when the air becomes warmer, it can hold more water, resulting in more extreme rainfall. Additionally, freshwater areas throughout the world are under a lot of pressure as a consequence of the damming, pollution, and dredging taking place and the elevated temperature additionally worsens the situation. WWF further add that ocean, polar regions, and wildlife are all affected by climate change, leading to excessive carbon dioxide concentration in oceans and eventual coral death; melting of the sea ice covers in the Arctic and the Antarctic (the ice from these two polar regions is vital for 90 percent of fresh water on Earth and it also regulates the global temperatures by reflecting back the energy of the sun); and the extinction of affected species. Some of the currently endangered species are Asian rhinos, African elephants, polar bears, orangutans, snow leopards, Adélie penguins, and tigers. According to Green Peace, the disastrous effects of climate change are well-known and the results are already visible. However, this is nothing if we compare it with what future generations may face if we fail to make the right decisions now and put an end to the destruction of our planet. One of the major culprits of polluted air, soil, and water is the mining, drilling, and fracking of fossil fuels; hence, the main strategy of countries for the reduction in the emission of greenhouse gases is 100 percent clean and renewable energy. The main sources of renewable energy are wind, geothermal, and solar and this energy is good for the environment, but for the economy too. Namely, the solar industry is hiring more workers than coal mining and in most of the states; wind energy is cheaper than coal power. Companies like Google and Apple are a great example because they have committed to renewable energy and invest in wind and solar. Another beneficial way to minimize the carbon pollution, according to Melissa Denchak, is to save water since it requires a lot of energy to pump or heat water. Therefore, we should shower shortly, turn off the water while brushing the teeth, and opt for water-efficient fixtures in our homes. She further adds that we should waste less food and buy only products that we actually need and eat and to choose meatless products because livestock is rather intensive for production in terms of resources and because the direct and indirect gas emissions from livestock give rise to the global warming. Another way to save fuel, as well as money, is to drive a gas-smart car, i.e. an electric vehicle or a hybrid. This will minimize the automotive emissions and reduce costs for fuel. As noted by the Sustainable Housing Foundation, the global future is dependent on it. Sustainability is pivotal for three interrelated major problems in the world, that is, the depletion of fossil fuel, the global warming caused by emissions of CO2, and the elevating cost of water and energy. Despite the fact that fossil fuels are not an infinite source, the demands for it are on the rise, which will further contribute to an increase in cost and higher amount of CO2 in the air. There is a notable increase in the cost of fresh water too, which does not only trouble economies, but the average homeowner as well. All in all, it is high time that we see the bigger picture!